Greg Rutherford has been forced to withdraw from the GB team for next month’s IAAF World Championships in London after failing to recover from an ankle ligament injury and sports hernia. The 30-year-old won world long jump gold in Beijing two years ago but now, unable to defend his title, he will switch his attention to becoming a three-time European champion in 2018. “In the last few days I have had to accept an unfortunate reality. 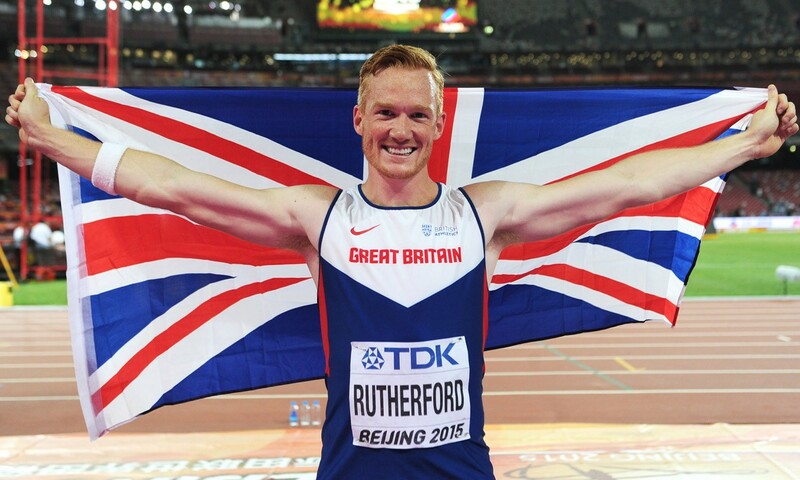 I did everything I could, but a string of injuries at the worst possible time means I will be unable to defend my world title in London,” said Rutherford, who opened his long jump season with a leap of 8.18m at the Arcadis Great CityGames Manchester in May. “With an incredible start to the year in training, and very promising early season form, I have had a difficult series of setbacks as the season progressed. Most recently, a badly damaged ankle ligament and a sportsman’s hernia really put paid to my plans. “The injuries have taken longer to heal than we hoped, and I have been unable to even jump at all in training, let alone compete. “I am truly gutted,” added the London 2012 Olympic champion and 2014 Commonwealth gold medallist. “That stadium is such a special place for me, I am so devastated that I won’t be competing in front of the best fans in the world, in the stadium that changed my life. But, I’ll definitely be there to support my British team mates and soak up what will be an amazing atmosphere, and an amazing championships. British Athletics performance director Neil Black said: “Greg is one of only a few British athletes to complete the ‘Grand Slam’ of medals, but that won’t make missing London any easier. On Tuesday British Athletics announced that reigning European 60m champion Richard Kilty has also been forced to withdraw from the 4x100m relay squad after breaking a finger on his changeover hand. The news came on the day that the national governing body confirmed that five athletes had been added to the GB team for London (read more here).